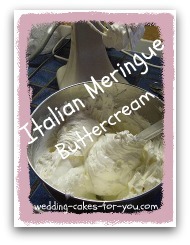 Butter cream frosting is so easy to make and very tasty and delicious. You only need three ingredients to make this luscious alternative to the Italian or Swiss meringue buttercream. Pipe butter cream roses, leaves, borders and even figurines from this yummy sweet and smooth frosting. You can also add endless flavorings like chocolate, fruit jams, crushed Oreo cookies, nuts, candy ... you name it. It's very versatile. 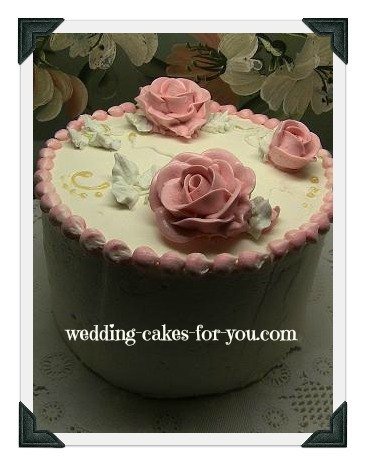 Links to pages on how to pipe decorations and cake decorating classes are at the bottom of the page. "Thanks for your help, again Lorelie! I tried your simple butter + vanilla + icing sugar butter cream frosting recipe. I found that you don't need to add too much icing sugar to achieve a nice consistency. It held its shape very nicely"
I make my easy buttercream frosting to taste. I never measure for this recipe. I may for example start with 1 lb. (4 sticks) of unsalted butter and add 1 lb. of confectioner's sugar and a teaspoon or two of flavoring extract. Taste and adjust to your liking. Experiment with amounts of butter to sugar until you are satisfied with the flavor and texture. Whip up the butter until it is as white and fluffy as possible. Add the sugar and vanilla continue mixing at a medium speed. Optional add milk or cream. This is the easiest frosting to make! TIP: Add melted chocolate, finely chopped nuts, fruit, jam, lemon or orange juice, almond extract or liquors for a variety of flavor choices. 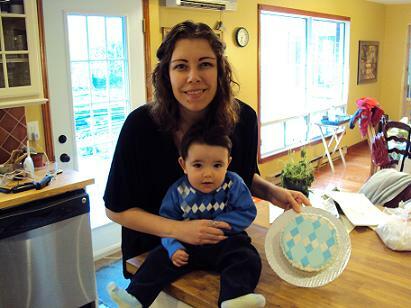 Their is so much controversy over buttercream frosting and which kind is best for various types of cake decorating tasks. I find this recipe to be a good all around one to use for just about everything. If you want to give the meringue frosting's a try give yourself some time to practice. Once you get the hang of cooking the sugar to the correct temperature you will probably find the taste to be superior. 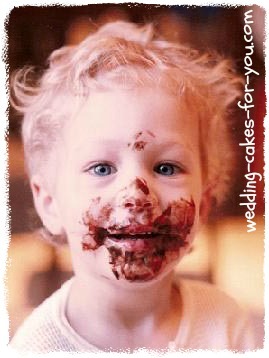 What is crumb coating a cake? How do I stabilize whipped cream icing?